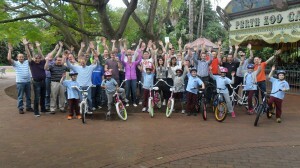 Thanks to the team from Chevron in Perth for yet another very generous donation of 8 bikes to the deserving kids from Swan View Primary School during their Charity Bike Build program on Thursday. 8 Teams battled it out to build the best bike and the GREEN team were crowned victors for the day. Below is a video containing some photo’s from the day so check them out! 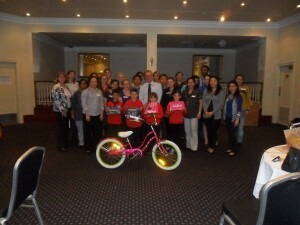 What a fantastic afternoon we had in Perth with the team from Chevron during their Charity Bike Build program. 4 teams going head to head to build 4 bikes to the best of their ability. It was a very close race but the WHITE team came out on top as the winning team for the day. The real winners here however were the lucky and very deserving kids from Boyare Primary School who Chevron kindly donated these bikes to. Boyare Primary School and The Smith Family thank you very much for your very generous donation and these bikes will go back to the school where they will be used as part of some wonderful programs that all students get to participate in. 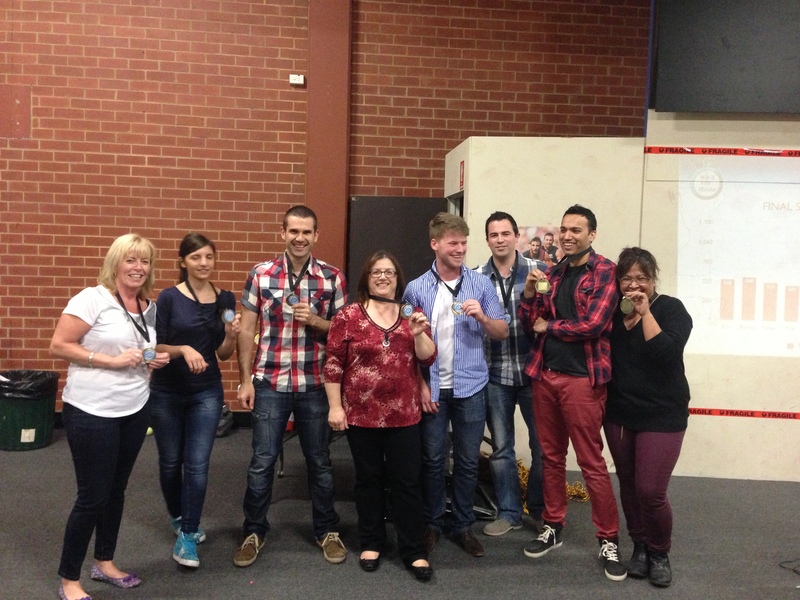 Essendon football Club had a great afternoon with their admin staff competing in our popular Win It In A Minute team building activity. The event was held at their football club in Melbourne. 6 teams battled it out to become the Win It In A minute Champions and take home the spoils of victory! We hope everyone enjoyed the event and the competition! 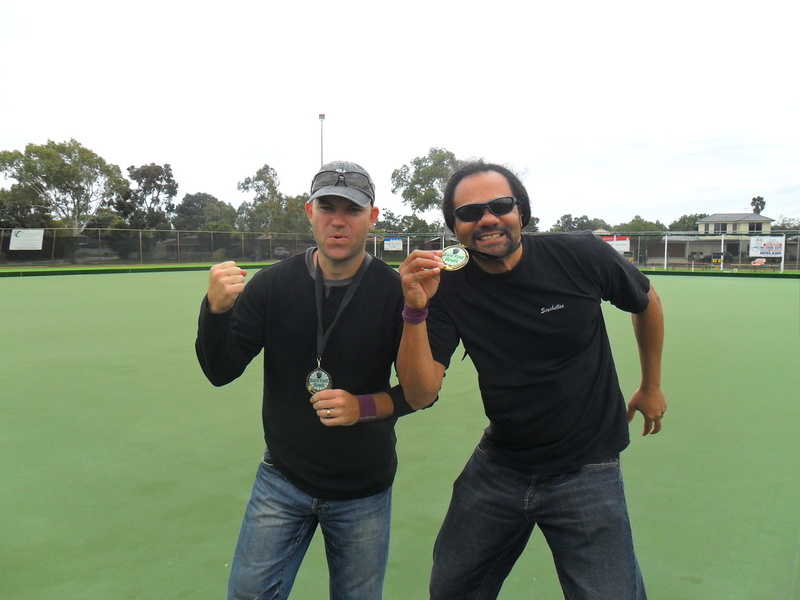 Winners are grinners! notice the stowaway? 10 Individual challenges – 3 group challenges! Did you enjoy the event and what was the hardest? Love to hear your thoughts…. Thank goodness the rain held off this morning so the team from Fuji Xerox could enjoy their Barefoot Bowls competition out at the Midland Sports Complex. What a great, lighthearted way to spend a couple of hours with your team. Below is a video with some photo’s from the event – check it out!